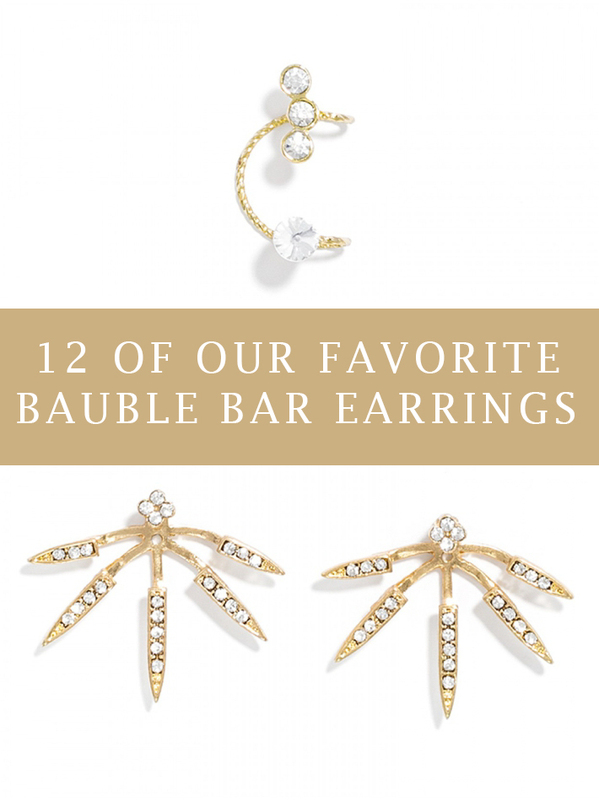 Today we've rounded up 12 of our most favorite earrings from one of our favorite jewelry shots, Bauble Bar and we hope you love these as much as we do! We think these will be a perfect fit for your engagement session or party or simply a date night out with that special man in your life. 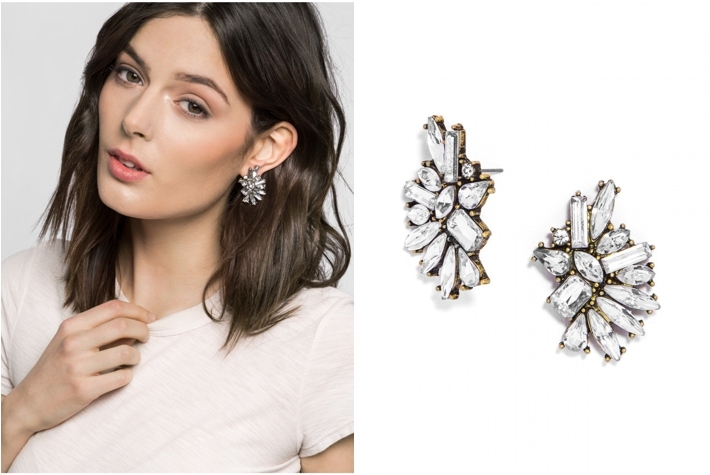 Whatever the case may be, these earrings will sure make you swoon! 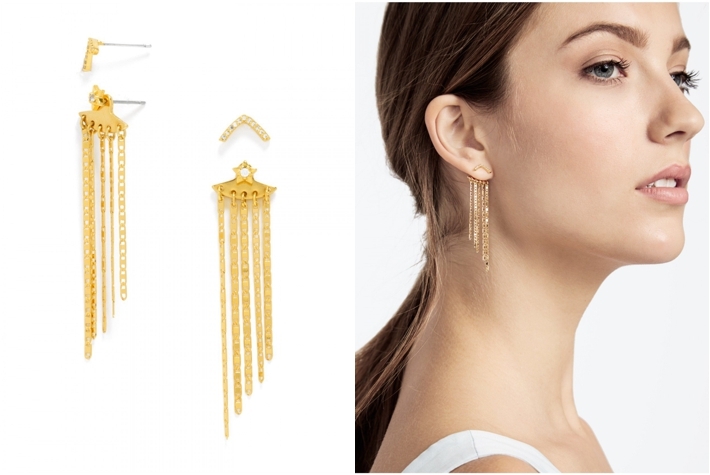 Stargirl Ear Adornment Set | Purchase them here. Ice Cosine Crawlers | Purchase them here. 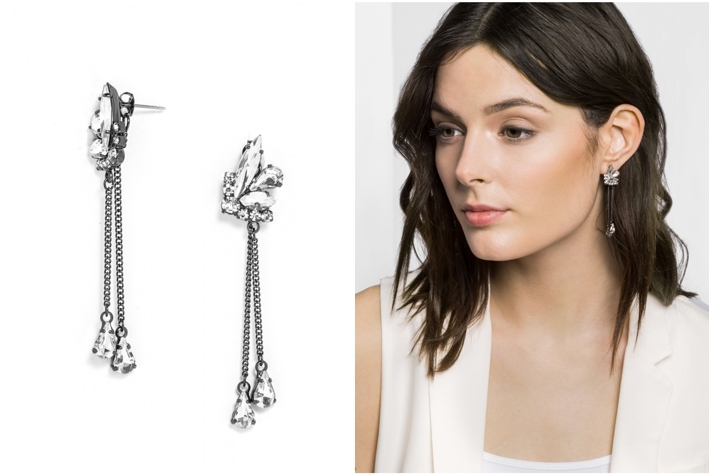 Asymmetrical Tinkerbell Ear Cuff | Purchase them here. 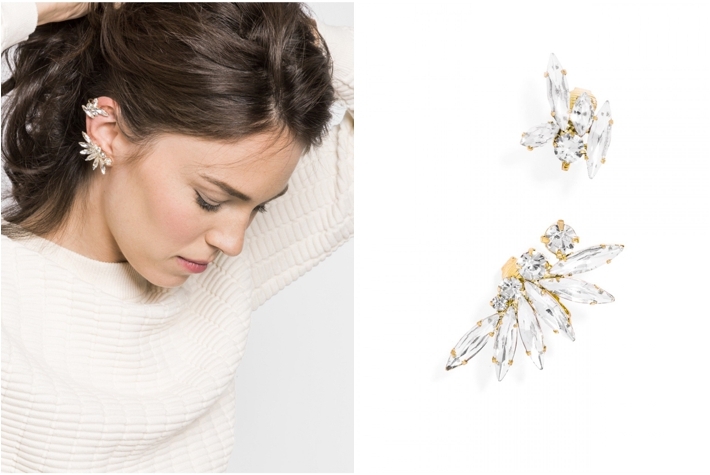 Crystal Triangulum Ear Crawlers | Purchase them here. 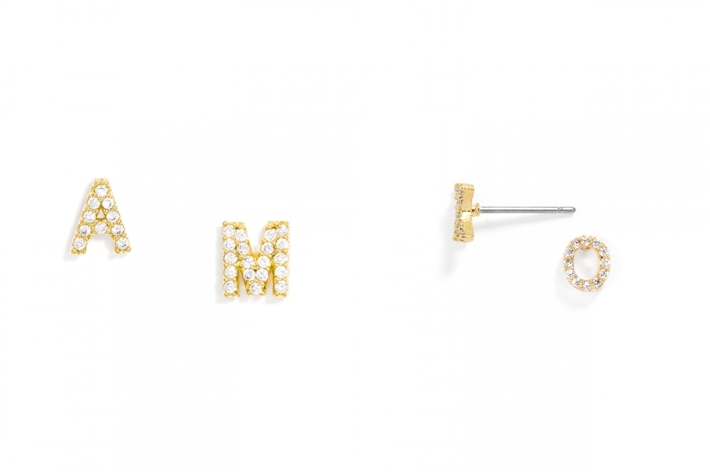 Ice Alpha Studs | Purchase them here. Ice Disc Studs | Purchase them here. 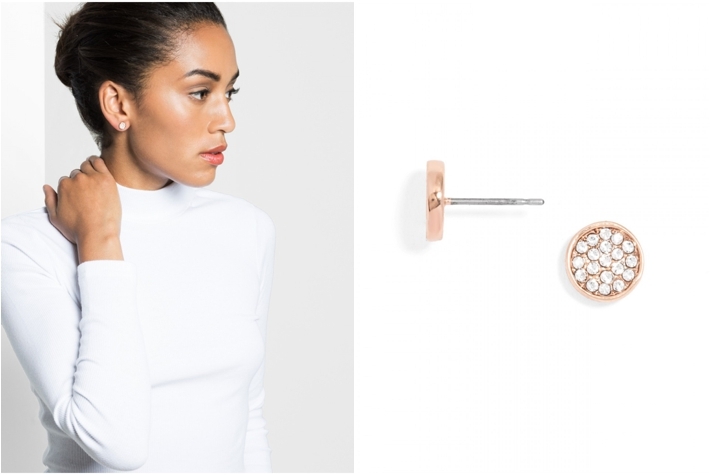 Pave XO Studs | Purchase them here. 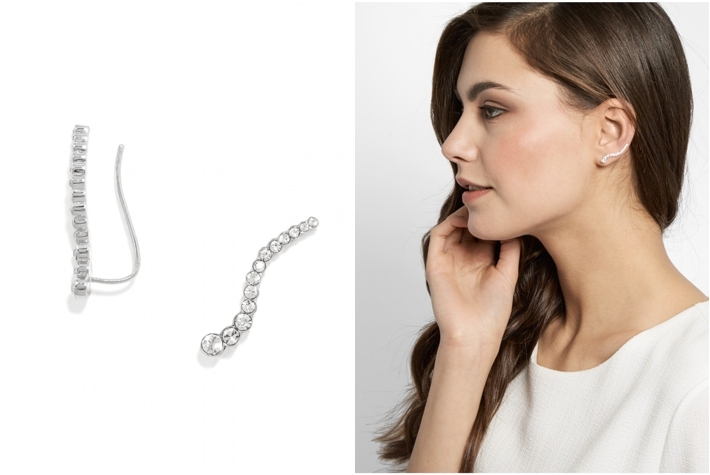 Pave Droplet Ear Crawlers | Purchase them here. Crystal Tink Drops | Purchase them here. 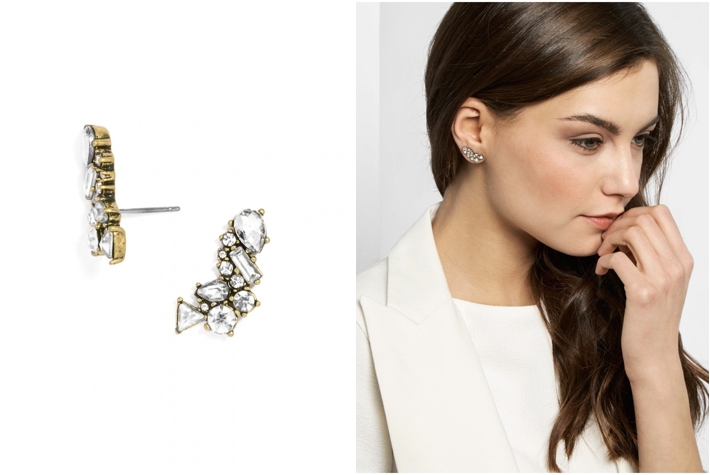 Crystal Dolores Studs | Purchase them here. Chaka Ear Jackets | Purchase them here. 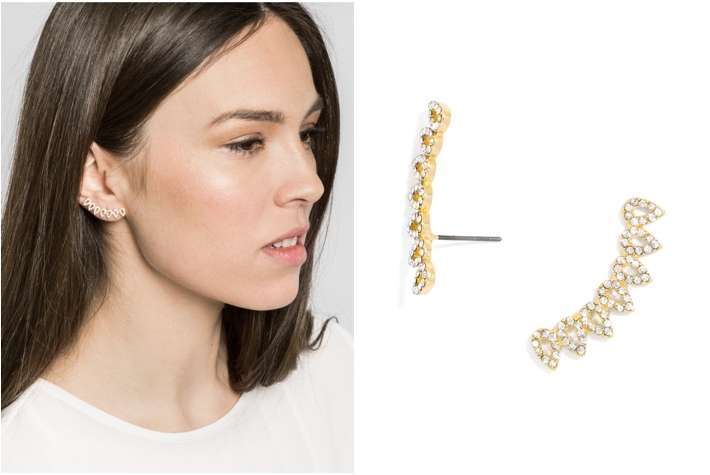 Crystal Veil Studs | Purchase them here.